The Patented [ US Patent No. 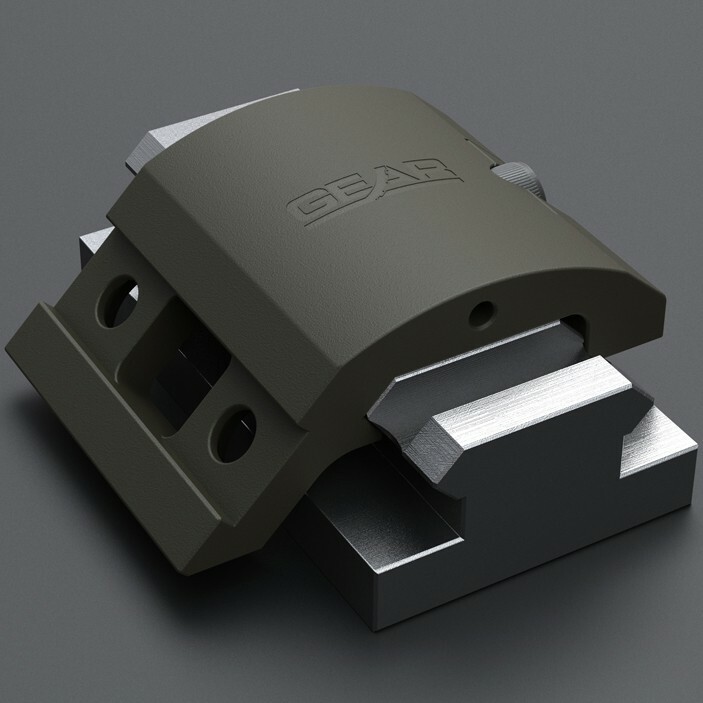 D669,149 ] Gear Sector™ offset flashlight mount was designed to provide a low profile, ergonomic solution for attaching a weapon light to a Picatinny rail. Gear Sector designed the mount to fit perfectly flush with the Tango Down rail panels for an uninterrupted rail space. This model fits the Surefire Scout Light® series lights which include the M300A, M300B, M600B, M600C, and M600U weapon lights. It comes complete with all mounting hardware, screws, allen keys, and Vibra-Tite® to make installation fast and easy. Mod 3 introduces an 1144 StressProof® heat treated full width steel index. 1 ea. Vibra-Tite® VC3™ thread locking compound.